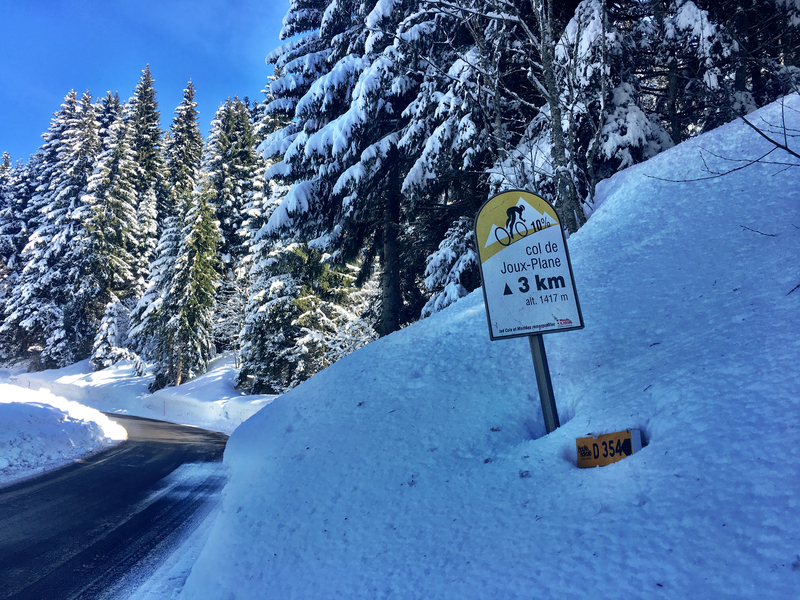 A recent annual tradition: Cycle up the classic (Samoëns) side of Col de Joux Plane and then rent cross-country skis at the summit. 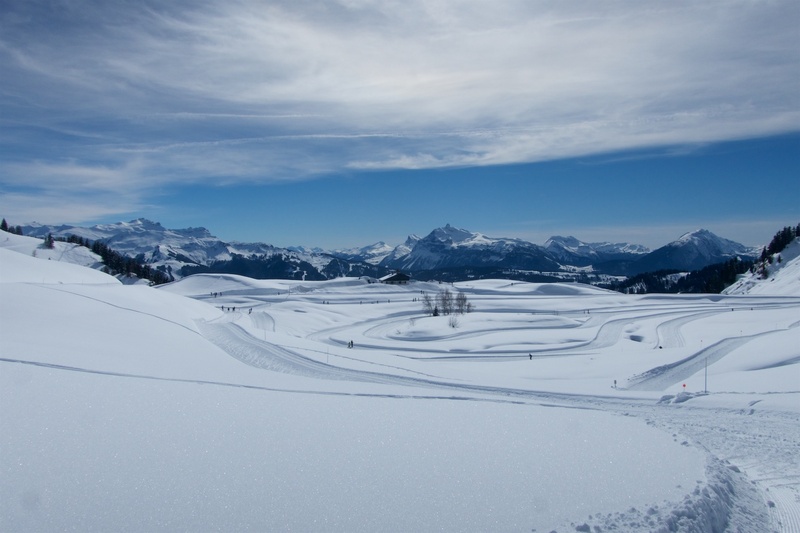 It’s surprising that this famous north-Alps col is often open in winter. But when the cross-country ski trails down low close, due to lack of snow, they clear the route to the summit. The road signs still say it is closed, but don’t believe everything you read. 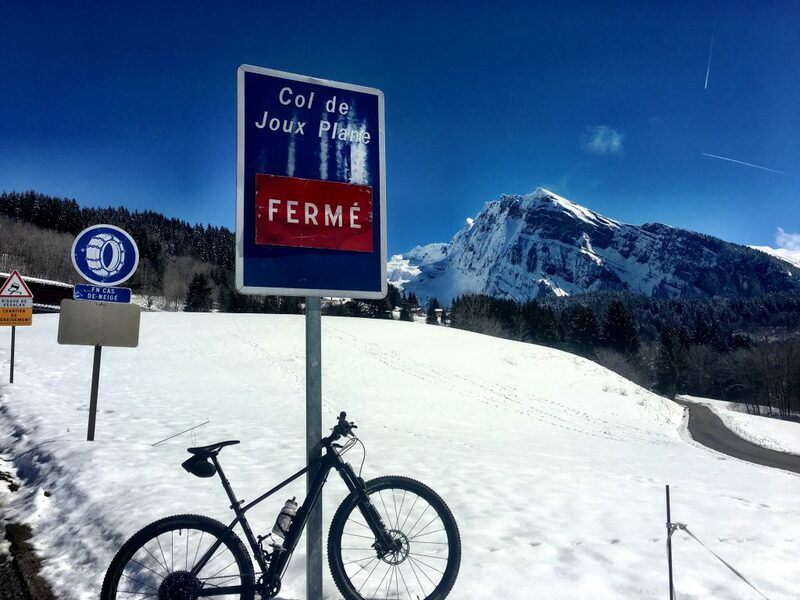 NOTE: the Morzine side of Joux Plane is closed all winter and will probably be closed until May. It’s a ski slope. There has been a lot of snow this year. This just made a very warm sunny day more fun. I had a mountain bike, but a road bike was probably OK. But you need to be careful. With all the melting snow, if it gets below freezing overnight, higher up — there will be ice. Especially on a few shaded stretches. But it was 10 Celsius even higher up. Heatwave! 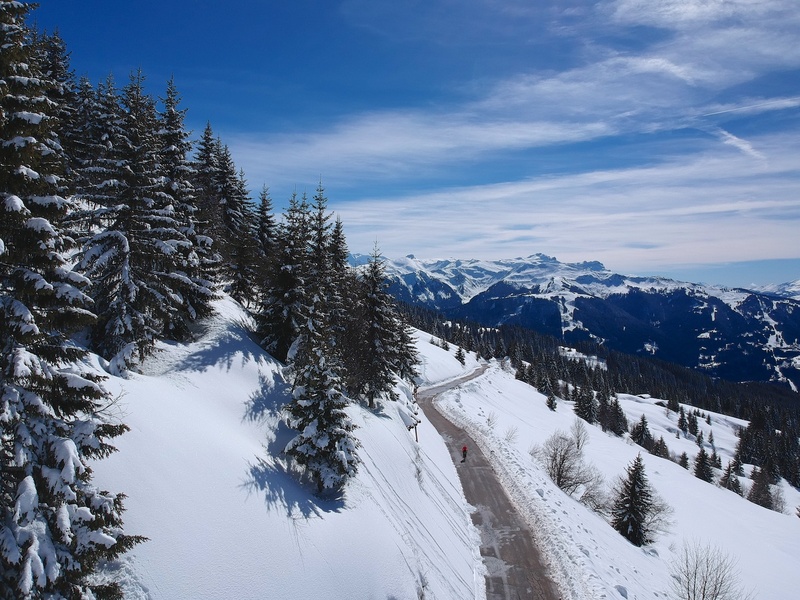 See here for one the best north-Alps road bike loops including Col de la Ramaz, Col de la Joux Verte, Col d’Encrenaz, and the far side of Joux Plane. 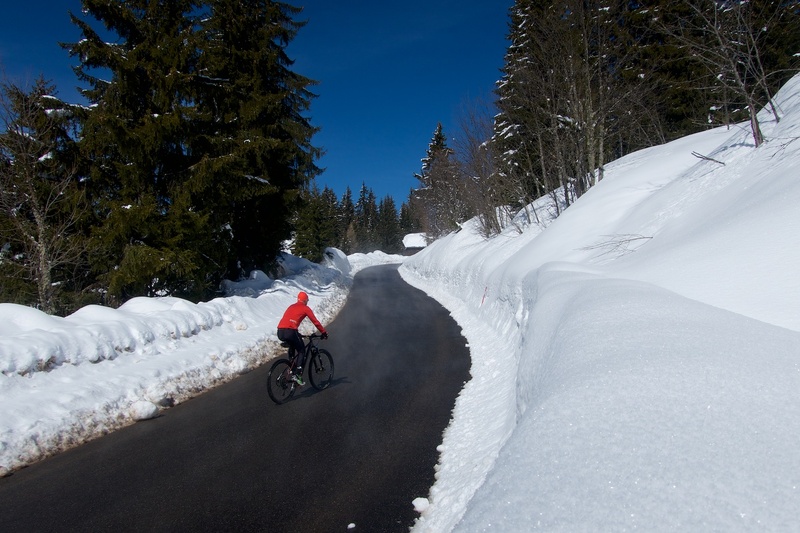 See here for an unpaved route up Joux Plane. 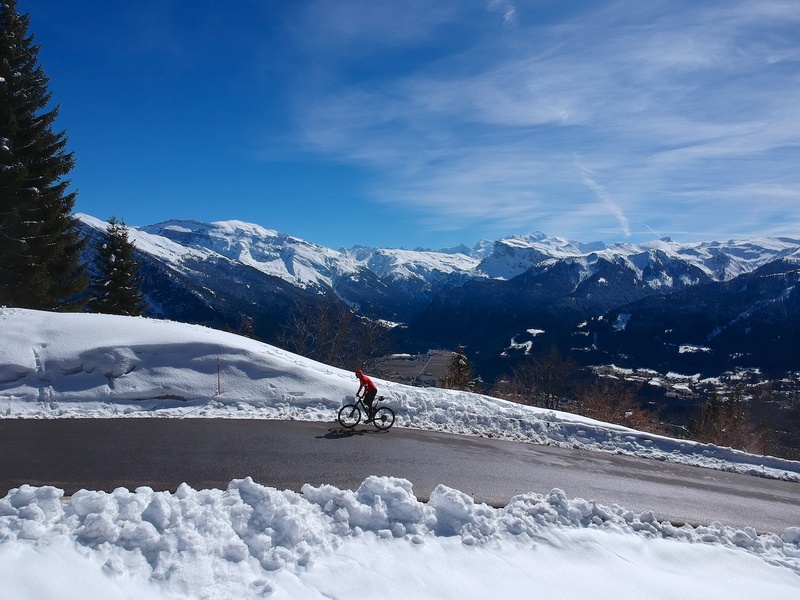 See here for a little known, but equally tough climb that also starts near Samoëns. I took lots of photos, a few with my drone (including the photo at the top of the article). The road is cleared until just before the col. 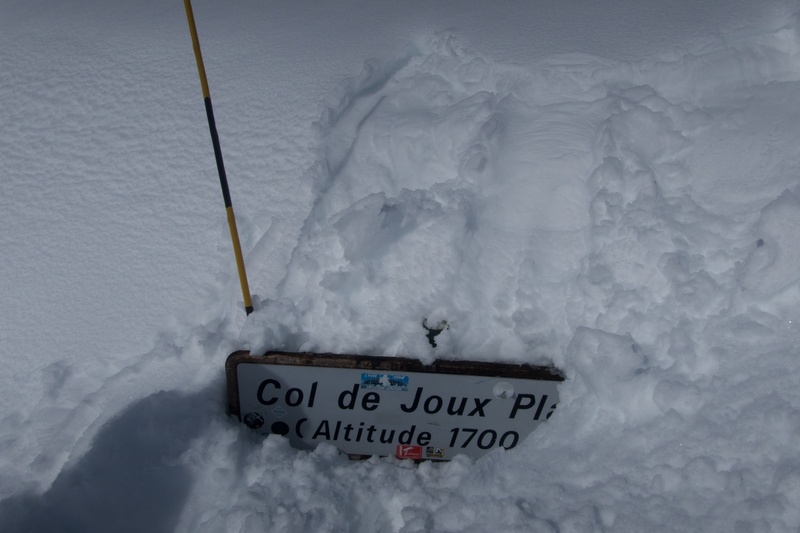 I had to search for the col sign (usually well above the snow) and needed to do a little digging. 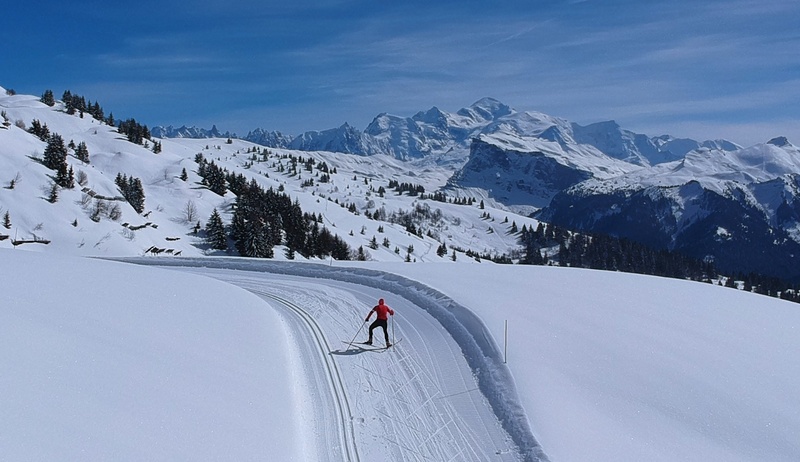 There were only a few kilometres of groomed trails open. Usually, there are more with a great tour to the look-out at Croix de Mapellet, But they were closed due to TOO MUCH snow (avalanche risk). See last year’s adventure here including map/photos when I skate-skied the larger domain. But this year, I enjoyed the smaller domain, and the truly special views before descending back to Samoëns (leaving my two extra jackets in my back-pack). Combining my two favourite sports is so much fun. 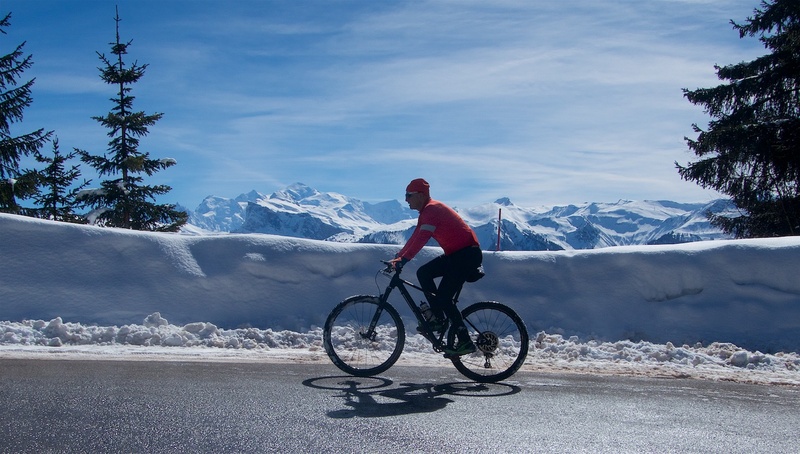 Here’s an old article where I discussed 14 cycling climbs with interesting cross-country skiing at the summit. I “think” all of them would have rentals for any motivated cyclists.